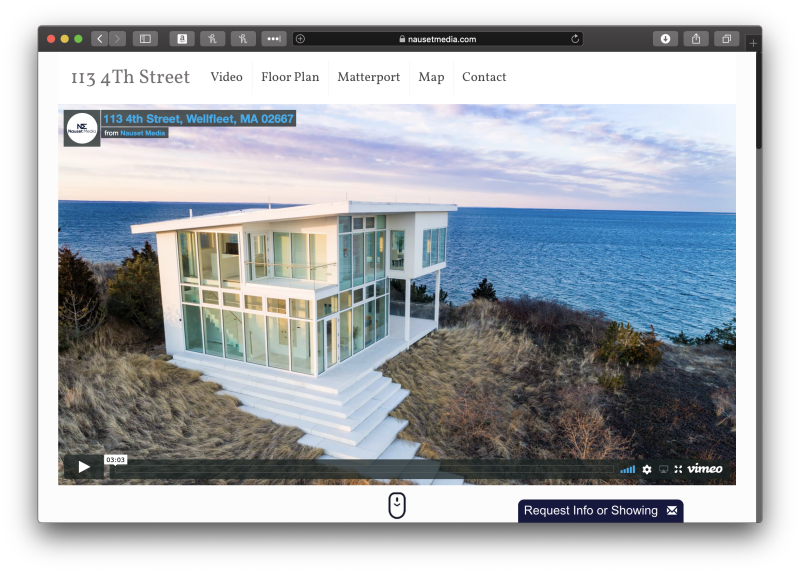 Distributed through MLS to Zillow, Trulia and elsewhere, a Custom Property Website with custom domain (example: 1134thstreet.com) provides one place for Videos, Photos, Interactive Floor Plans and Matterport 3D Tours. A simple design beautifully displays the content on both desktop and mobile devices. A branded version includes an agent’s photo and contact information along with lead capture. An unbranded version is also provided to meet MLS guidelines. Everything in one place. Highly produced Showcase Video, Interactive Floor Plan, Matterport 3D Tour and Professional Photography all hosted on a simple to use and mobile optimized website. Everything in one place. 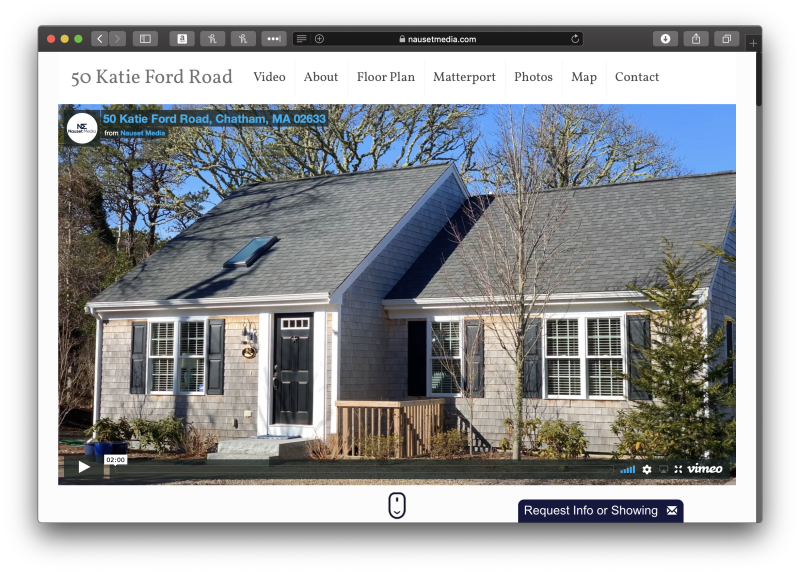 Walkthrough Video, Interactive Floor Plan, Matterport 3D Tour and Professional Photography all hosted on a simple to use and mobile optimized website. 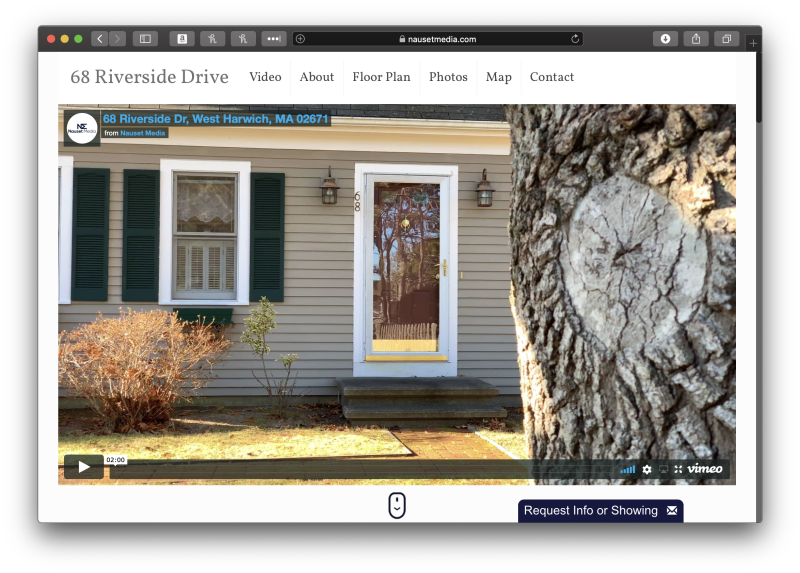 Walkthrough Video, Interactive Floor Plan and Professional Photography all hosted on a simple to use and mobile optimized website. 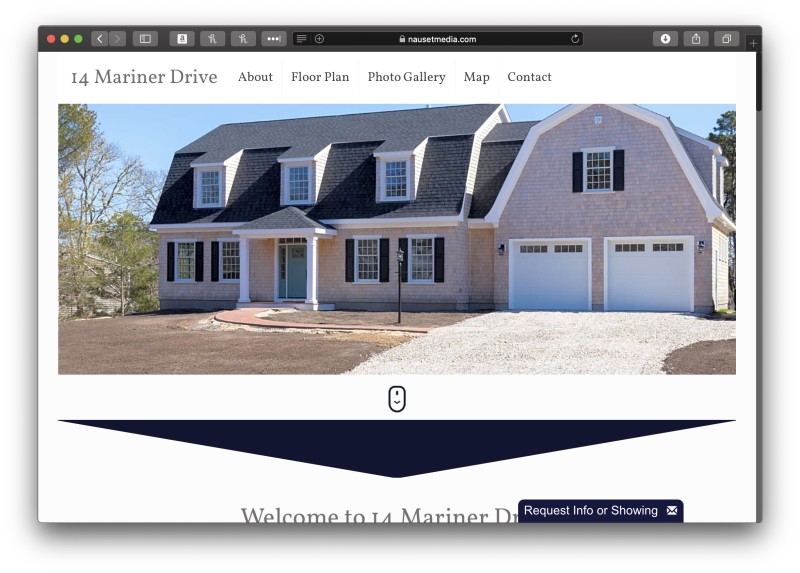 Interactive Floor Plan and Professional Photography hosted on a simple to use and mobile optimized website.